Our team participates in the RobotArt competition. 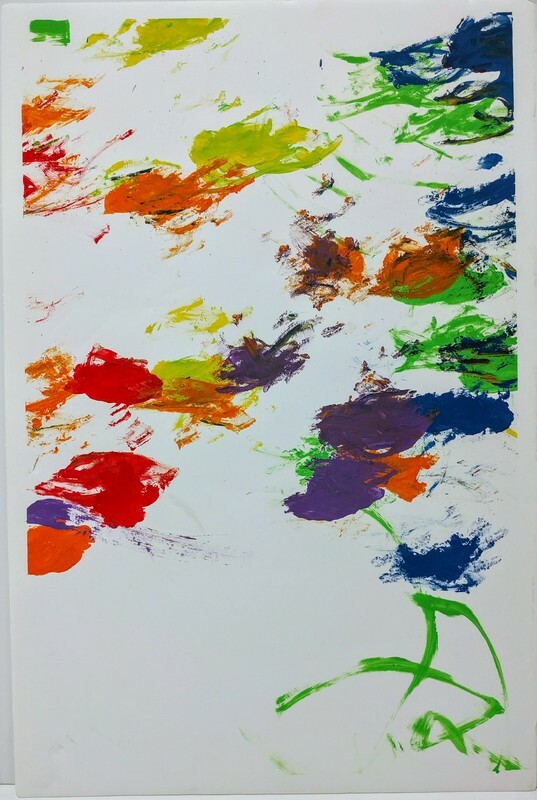 Check out "Disconnect" drone painting here: https://robotart.org/projects/dsiconnect/ and if you like it... upvote it! 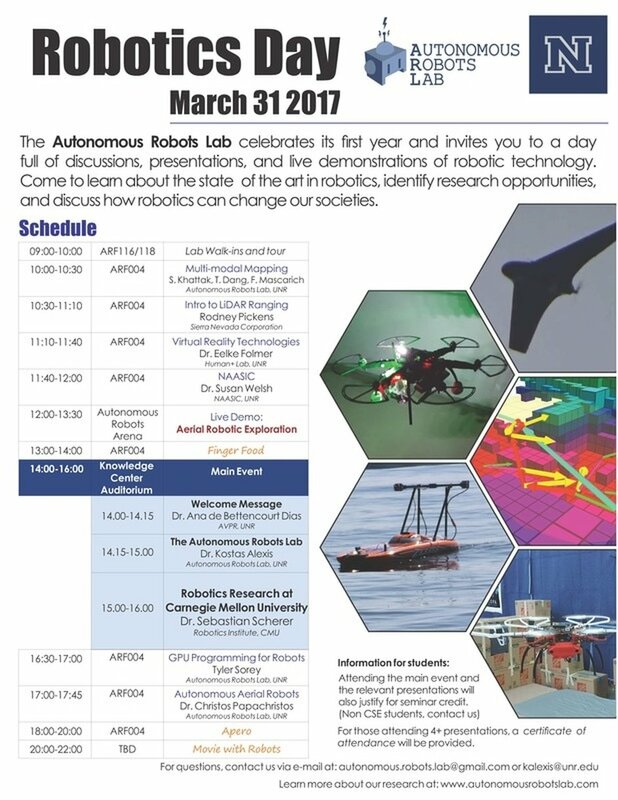 The Autonomous Robots Lab celebrates its first year and welcomes you at the 1stlocal "Robotics Day" that will take place on March 31, 2017. During that day, our university campus will be full of robotics technology, relevant talks, live demonstrations and opportunities for peer-to-peer discussion. Within a full-day program a) Dr. Sebastian Scherer from the Robotics Institute of Carnegie Mellon University, head of the AIR Lab is our honorable guest speaker, b) the Associate Vice President of Research Dr. Ana de Bettencourt-Dias opens and welcomes the event, c) Rodney Pickens from Sierra Nevada Corporation gives a seminar talk on the trending topic of LiDAR ranging, and d) Dr. Eelke Folmer talks about virtual reality technlogies. The research activities of the Autonomous Robots Lab will be presented, and several of our group members will give workshop talks on autonomous aerial robotic navigation (Dr. Christos Papachristos), multi-modal sensor fusion (PhD CandidatesShehryar Khattak, Tung Dang and Frank Mascarich), and GPU programming for robotics (ResearchAssistant Tyler Sorey). At the same time Dr. Susan Welsh will overview the Nevada Advanced Autonomous Systems Innovation Center. An autonomous aerial robotic exploration and mappingdemo will take place at our Autonomous Robots Arena. We welcome students to attend and get an opportunity to learn how they can conduct research in robotics. We invite the academic and overall community of UNR, as well as the people of our area to participate in this event. Interview at Channel 2 "Face the State"
ICRA 2017 Results are out! Our lab is featured at the German version of the MIT Technology Review. Check below. Our lab is featured at NevadaToday. Have a look!